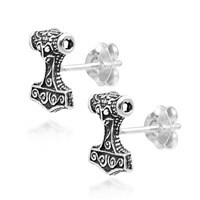 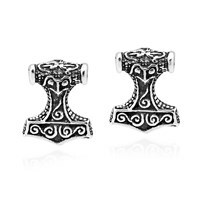 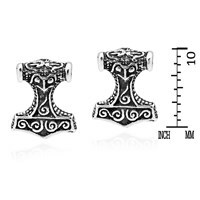 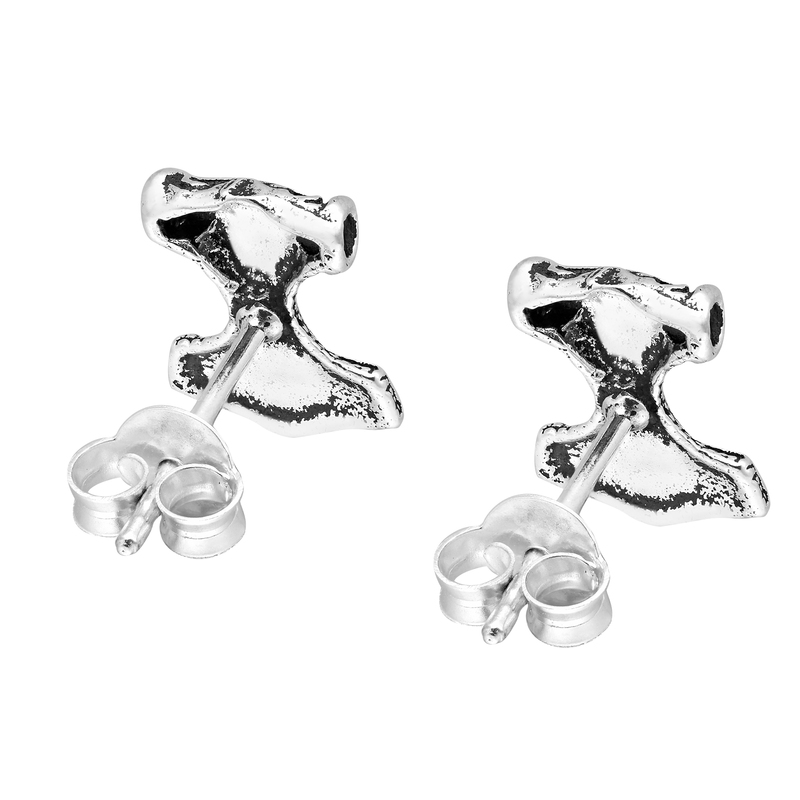 These stylish earrings feature Mjöllnir or Thor’s Hammer, which is an important symbol in Norse Mythology. 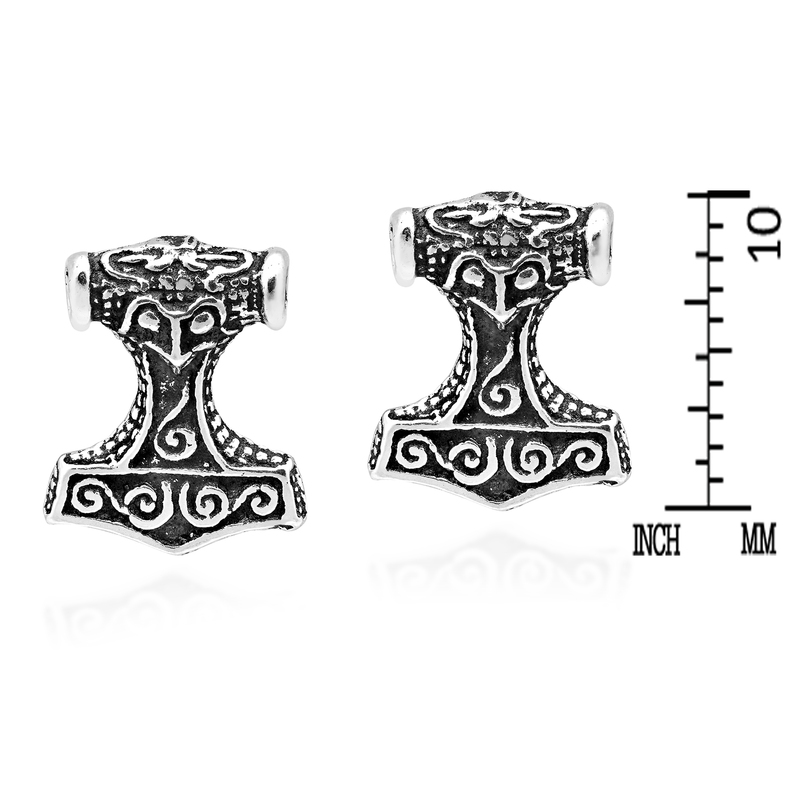 The mighty Thor, the heroic guardian of Asgard, wielded his mighty hammer to battle the forces of chaos and turmoil. 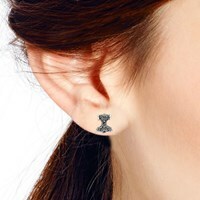 Handcrafted from fine sterling silver by Thai artisan Watsud, these earrings are decorated with beautiful swirls. Contrasting dark and shiny silver finishes help bring out the fine detail of this design. 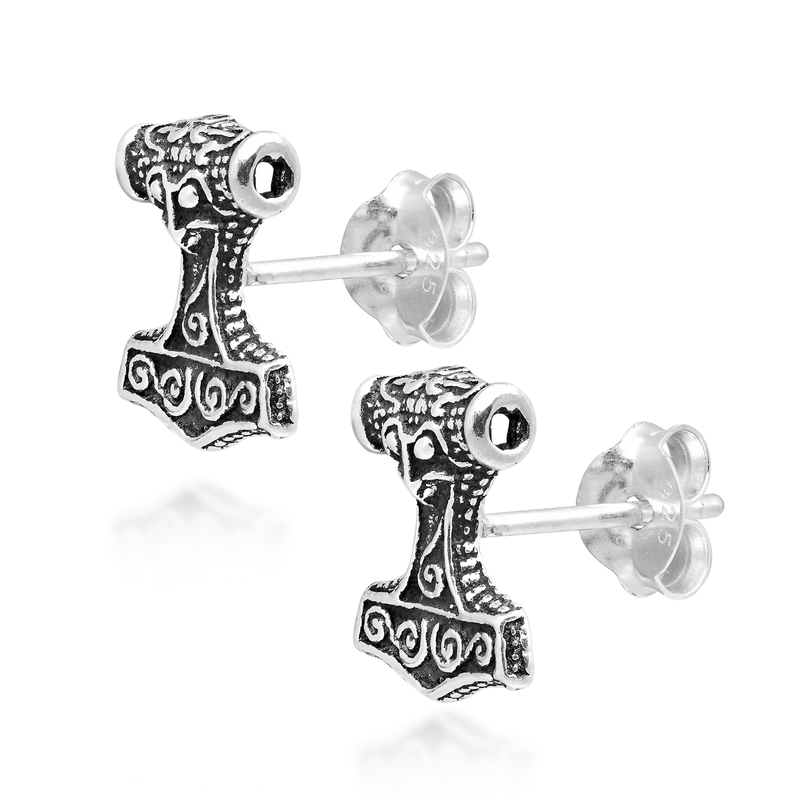 All coming together to form these amazing stud earrings that will look awesome on you.